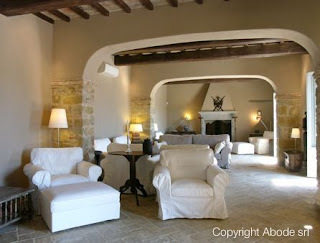 Abode's property manager Sonia Tardetti grew up in Perugia, the capital of the still-undiscovered region of Umbria. Our villas in Umbria resemble those in their more famous neighbor, Tuscany, but are definitely worth investigating for their own merits, says Sonia, who recommends these unique Umbrian activities to entice you to the green heart of Italy: Get groovy in Medieval Piazzas; The Umbria Jazz Festival, which takes place in July in the town of Perugia, and has grown over its 35-year history to become one of the world's biggest and most important. Listen to artists such as B.B. King, James Brown and Wynton Marsalis play on a lovely summer evening in the square. It's an experience you won't soon forget. Get more information on the Umbria Jazz Festival. Forget Switzerland, for world-class chocolate with a distinct Italian flair head to Perugia in the month of October, when the town hosts the Eurochocolate show, attracting producers and connoisseurs from around the world. Of course, if you can't make it in October, you'll find the region's most famous product, Baci "kiss" chocolates made of hazelnut and wrapped in the distinctive blue foil and love note, year-round. nice post keep updating. we have a Best villas in ECR and flat villas in ECR chennai.